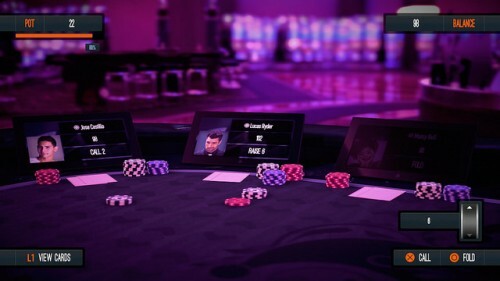 When the PlayStation Blog announced that Pure Hold’Em would be coming to PS4 later this year, the console-playing poker community nearly lost its mind. Developed by VooFoo Studios, the makers of Pure Pool, the game was hyped to be the definitive poker game on the PS4 – not just because of its features, but because it would actually be the first of its kind ever seen. “We’re proud of the high level of expectation on every new VooFoo release and we’re not holding back on stunning visuals, silky-smooth gameplay or the purity of the experience,” said VooFoo Studios’ online community manager, Emily Crees, back in February when the game was first announced. Rather than simply playing against computers, as was often the case with other console poker games, Pure Hold’Em was set to have full online multiplayer support, allowing players to create tournaments with 8 of their friends, or simply hop in and join strangers in quick games. With poker being such a popular game nowadays, many gamers were quick to come to the developers, excitedly asking questions about what else they could do in the game. Among the biggest questions potential players had was, “Can we play for real money?” And unfortunately, Emily said that users would have to play for in-game credits, and while no information was given on whether or not users would have the chance to replenish in-game credits with store credits for PSN, Emily assured players that “[they’ve] also included a High/Low game you can play to gain daily extra credits so you can start over!” The game also includes a Tutorial Setting, where players new to the game can learn about hand ranking and the rules of the game, in the hopes of winning the pot and owning the tables, from the lowly Jokers Tables up to the Masters Tournaments. Poker tournaments have become an indispensable feature in today’s casual poker games with online casino operators introducing several different tournament platforms that players can join at any time. While it’s unclear if Pure Hold’Em will have community tournaments as well, it’s a feature that would be greatly appreciated. While Emily said that they were yet to finalize the feature list for the game, she did maintain that customization was a key feature to look out for. “Our artists have been hard at work creating two different environments to play in – the atmospheric casino, and for those of you who reach the prestigious Aces and Masters table you can advance up into the beautiful VIP penthouse,” she said. 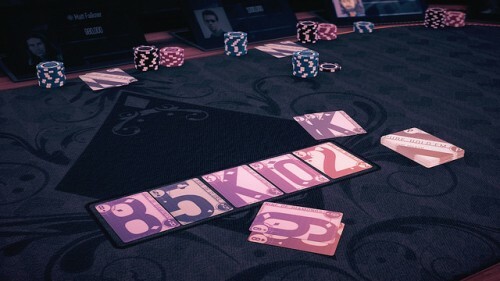 Players could then move on to customizing everything from the colors and patterns of the felt table, to the decks and chips being used. In fact, two months ago, VooFoo even launched a competition with NowGamer.com, which gave lucky fans the chance to get their own poker chip set as a DLC, as well as win an Xbox One or a PS4. Other features, such as the ability to video chat while you play at tournaments, are still being considered, and it seems like the game will stay in development for quite some time. With the weight of being the first next-gen poker game ever built hanging over their shoulders, however, it’s understandable that VooFoo is taking their time to create a game that they can be proud of. What features would you like to see in Pure Hold’Em?